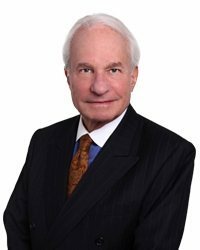 Jay Frank is a senior matrimonial attorney with more than 40 years of numerous achievements. He represents a wide variety of clients, including attorneys, television and radio personalities, corporate executives, entrepreneurs, sports figures, physicians, accountants and other professionals on a local, national and international basis. In his practice, he has successfully pursued, traced and valued valuable assets. He also has successfully litigated or negotiated premarital agreements, property distributions, support awards and custody and visitation arrangements. Because divorce cases are more important to clients than any other case, it is important to Jay that he gets to know his clients personally. Recognizing that everything that means anything is on the table – the children, the possessions, the house, the retirement plan and sometimes the family pet -- he cares about doing the right thing for his clients. Jay truly enjoys the practice, working at it six days a week. He is supported by the firm’s other lawyers who lend their skills in non-divorce matters, such as accounting, business, real estate and retirement plans, in order to provide a unique and effective team approach for every conceivable issue that might arise in a matrimonial situation. In addition, as a member firm of the Legal Netlink Alliance (LNA), a global alliance of carefully selected midsized firms in 115 jurisdictions around the world, Aronberg Goldgehn attorneys such as Jay have the unique ability to deal with issues arising in other states or globally through instant access to high quality representation provided by LNA members. Jay is one of the founders of the Legal Netlink Alliance and currently serves a Chairman of the organization. Jay joined Aronberg Goldgehn in August 1999. He is a member of the prestigious American Academy of Matrimonial Lawyers, a group of the 1,500 best family law attorneys in the United States. Among his accolades, since 2003 Jay has been recognized annually as a Leading Lawyer in Family Law by Illinois Leading Lawyers. He has also been named as a Super Lawyer in Family Law by Illinois Super Lawyers since 2005. Jay is an avid runner who completes a number of races each year, including participating annually in the Chicago Marathon. He is married and has two grown children, both of whom practice law in the Chicago area. He enjoys traveling with his wife to different parts of the world to learn about other people and their cultures. What is your favorite thing about working at Aronberg Goldgehn? Aronberg Goldgehn is a very unique firm and I feel privileged to be a part of it. The camaraderie and the unselfish teamwork cannot be matched. What would you be doing if you weren’t a lawyer? I don’t know what I would do for a living if I were not a lawyer. The practice of law is a terrific calling and a wonderful opportunity to help people work through their problems. It’s who I am; I really can’t imagine doing anything else.